When you understand the costs of motor vehicle accidents to your company, you will want to take steps to control the costs. Today we will look at some case studies of how some companies implemented practices that reduced motor vehicle accidents and helped contain costs associated with driving on the job. These case studies and others can be accessed in Occupational Safety and Health Administration (OSHA) and National Highway Traffic Safety Administration (NHTSA) publications. Beyond employment history, a major delivery company does a background check on the driving history of all applicants. Once hired, all drivers fill out an annual report of driving history, both on and off the job. According to company officials, it is very rare for drivers to have a moving violation listed on their annual reports. However, when it does happen, it is treated by the company as a serious indicator of a problem. To prevent speeding, the company has a strict policy against radar detectors. Drivers are expected to drive at the speed of traffic, but never above the posted speed limit. The company has a zero-tolerance policy for unsafe driving. All drivers are expected to fasten safety belts, drive at a safe speed, and not drive impaired. An adhesive manufacturer checks its applicants’ driving records through regular motor vehicle record inspections. This system provides the company with information about the past driving record of potential hires. The company will not hire applicants with more than three moving violations within the previous 2 years. 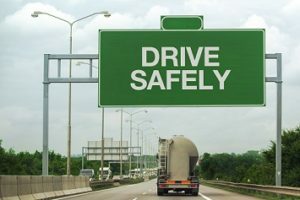 For current employees, the company provides driver training if an employee’s driving record indicates hazardous moving violations (such as speeding, failure to yield, or failure to stop at a red light or stop sign). A major U.S. insurance company operates a large, private motor vehicle fleet. In the late 1990s, the company developed and implemented a comprehensive motor vehicle safety program using the Network of Employers for Traffic Safety (NETS) 10-step program from the Traffic Safety Primer: A Guidebook for Employers. As a result, while the number of miles driven by its associates increased by 19%, the organization’s preventable crashes decreased by 53%. The company’s total motor vehicle loss costs were down 40%. A communication company in Michigan began a program to increase seat belt use among their drivers. The company worked with Michigan NETS to establish a corporate seat belt program and to reward seat belt use. The company also began a defensive driving program for employees. As a result, in 2 years, they reached a 94% seat belt use rate, up from 74%, and have continued to maintain that rate. As an employer, it is in your best interest that your employees drive safely. Here are some tips from OSHA to help your drivers keep themselves and others safe while on the road. Use a seat belt at all times—driver and passenger(s). Avoid taking medications that make you drowsy. If you are impaired by alcohol or any drug, do not drive. Avoid distractions, such as adjusting the radio or other controls, eating or drinking, and talking on the phone. Stop about every 2 hours for a break. Get out of the vehicle to stretch, take a walk, and get refreshed. Avoid aggressive driving by keeping your cool in traffic. Do not take other drivers’ actions personally.